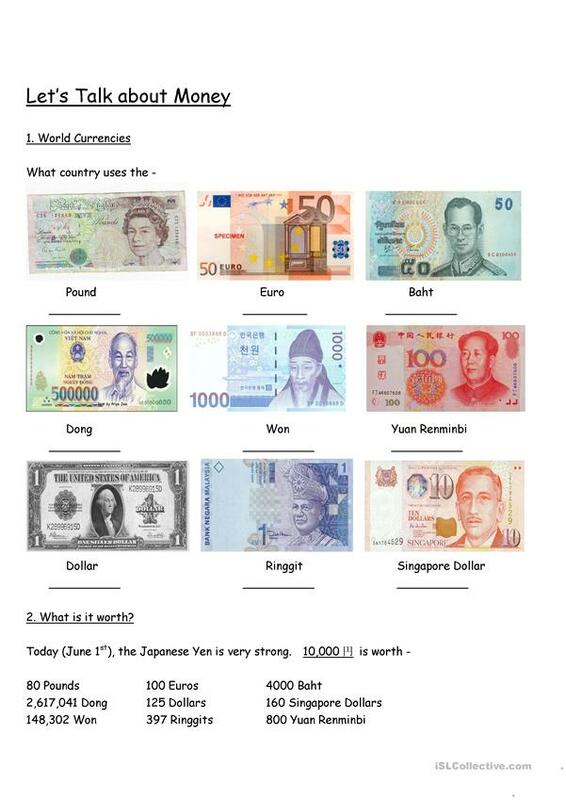 Students guess the country for each type of currency. I collected real examples to show them. Also, this was designed for use in Japan, hence the Japanese exchange rates at the bottom - please edit for your own country. This downloadable teaching material is meant for business/professional students and high school students at Elementary (A1) level. It can be used for strengthening your pupils' Spelling and Reading skills. It focuses on the theme of Money. After working in Italy and Spain, I came to Japan in 2004 where I still continue to work. I currently work in a public high school. In addition to teaching I write books, and have a novel called The Tube Riders available from Amazon. I also manage a local cricket team, play in a rock band, and enjoying hiking in the summer and snowboarding in the winter.